I’m so happy to receive my travelus passport holder and organizer from halohalomall.com. This is the first time to shopping and to buy online. If you are a member of this site you can earn more points in everyday you log in. I am a member of this site and I think it’s almost 3 weeks to earn points then I will buy this green travelus passport holder and organizer. After 7 days I will receive the product through Lbc. The price of this product is 190 pesos and they have the additional 80 pesos for shipping. I though that I am a lucky person because last week my sister gave me the sophie martin bag as her Christmas presents and this week I already have a green travelus passport holder and organizer from halohalomall.com. 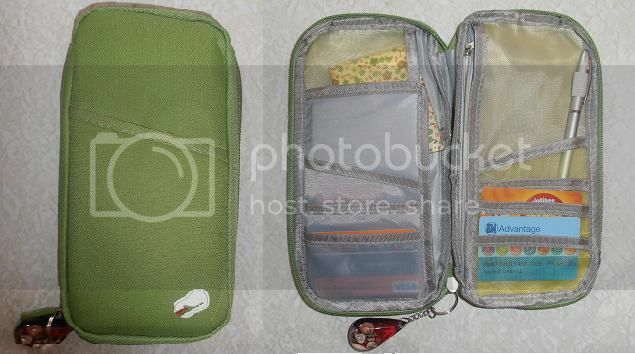 They have a six credit card or atm card slots, pen loop, zippered coin compartment, and lots of extra pockets inside. Thank you Lord for the blessing.